This is an old picture but still looks the same now. The blue tank in the back corner is a water tank. 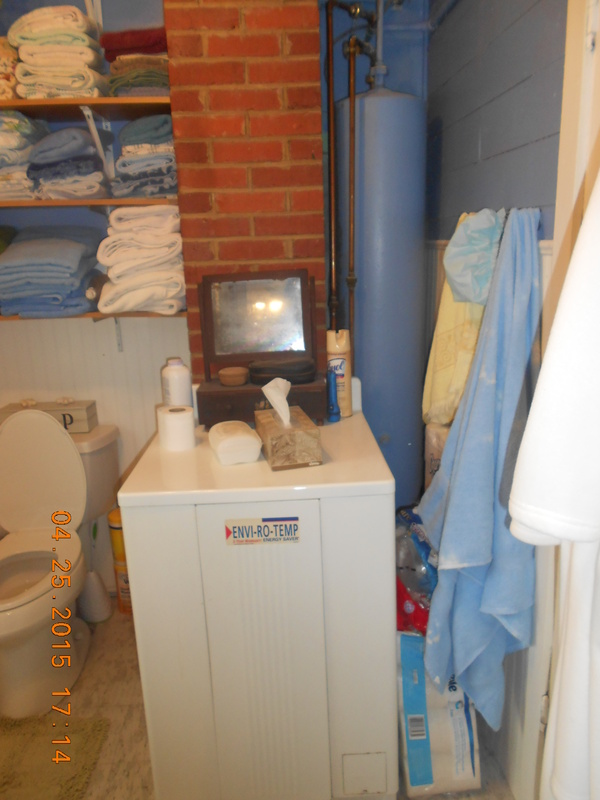 The white tank is our electric hot water heater.